President Donald Trump’s deputies have doubled workplace enforcement actions against companies which hire illegals instead of Americans. The stepped-up enforcement is nudging companies to hire Americans at higher wages, but it is sparking strong resistance from the business lobbies which use illegals to lower Americans’ wages. The lobbies have helped block Trump’s nomination of Thomas Homan to head the agency which performs worksite inspections, U.S. Immigration and Customs Enforcement. Some of the agency’s actions have hit the news, including a recent arrest of 97 illegals at a meatpacking plant in Tennesee. The agency also checked 100 7-Eleven stores in January and checked 77 California employers in February. In 2017, ICE helped win guilty verdicts from three managers at Asplundh Tree Expert Co. (which also paid a $95 million fine for hiring illegals) and forced a Chicago bakery to hire Americans instead of lower-wage illegals. However, many other actions get little notice in the national media. 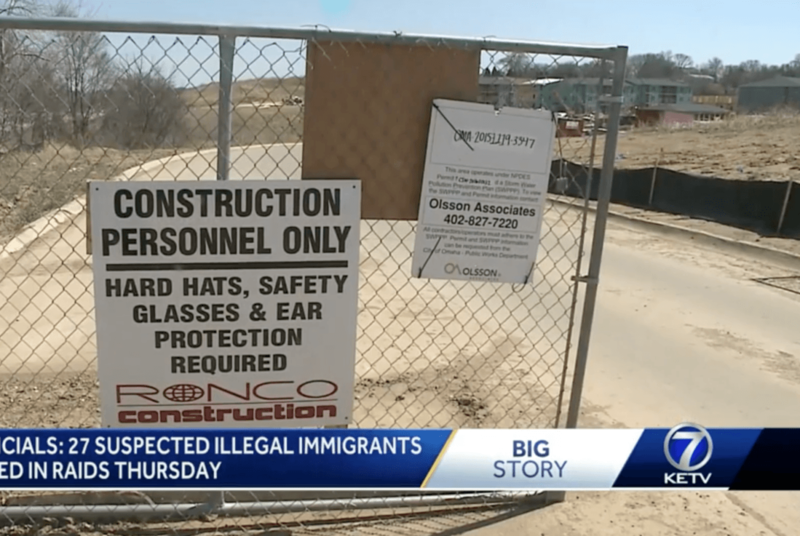 On April 23, for example, 27 Mexican men were detained at construction sites in Omaha, Neb. Local immigration attorneys say they started receiving phone calls right away. Some attorneys told KETV that most of the men arrested received bonds and were taken to jail. Others said this operation is one of the biggest illegal immigrant sweeps they’ve seen in recent years. According to ICE, six of the men arrested had minor criminal histories, and three have previously been deported. Campuzano said she had to post $7,500 and drive to Grand Island to pick up her husband. Campuzano said her husband is undocumented, but has been in the United States since 2005. They got married about a year ago have a three-year-old daughter together. She hopes that her husband’s clean record and time spent in the country will be enough to apply for immigration relief. Business groups have protested the enforcement efforts, partly because it threatens the many companies in the construction, agriculture and food industries which hire illegals. The business groups have gotten quiet support from some GOP politicians and open support from Democratic politicians, including from 20 Democratic Senators who wrote a letter in April urging ICE officials to end workplace enforcement. The opposition helped block Homan’s confirmation to run the ICE agency. 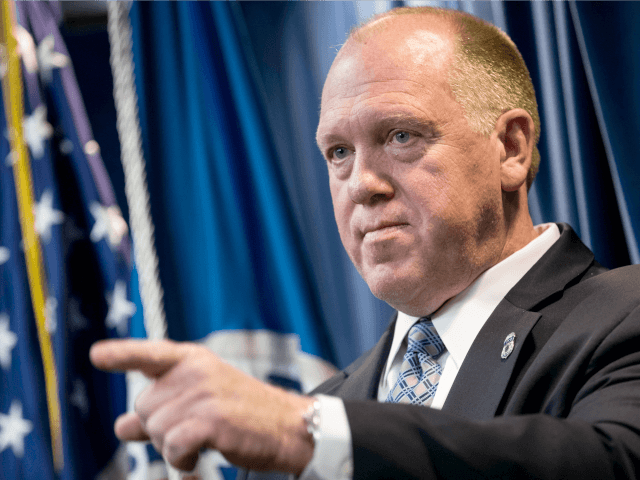 Homan’s progress leaves the ICE agency far short of dealing with the illegal population, which has been growing for at least three decades. The resident population of illegal migrants is estimated to be 11 million, of which roughly 8 million are working in jobs that could be held by Americans.